Many of us are guilty of leaving plumbing repairs until the last minute. However, leaving plumbing issues unattended can cause severe damage to your property and belongings—increasing the cost of repair work in the future. Not tending to serious issues—like a water-heater leak—poses a threat to your safety as well. Here’s why you should never avoid plumbing repairs. Water leaks are a common problem in many households. While a small leak in a pipe might seem harmless to you, over time, the water can spread and dampen the walls, floors, and carpets. This promotes mold growth, which can be very costly to remove once accumulated. 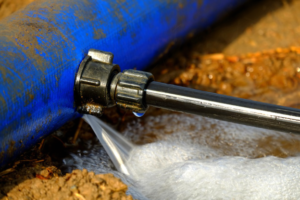 To save your property from damage from water leaks, get a trained plumber to fix them promptly. It’s estimated that 10% of homes have leaks that waste 90 gallons of water every day! Unattended leaks can cost homeowners an increase in their water bills as well. Fixing the leaks immediately can save up to 10% on your water bills, according to the US Environmental Protection Agency. Water heaters are an essential part of your home without which daily work like doing the laundry, washing dishes, and bathing would be impossible. However, changes such as increased pressure in the tank, a broken valve, or rust can cause leaks in your water heater. If your water heater is not working properly, consult a professional plumbing service to look into the matter. Issues with water heaters should be resolved immediately to prevent accidents from taking place, such as a water heater burst. If you leave plumbing repairs unattended for a long time, they’ll eventually grow, increasing the cost of your repair work. Moreover, the damage plumbing issues will cause to your belongings and property will be hefty. In order to save yourself from paying large amounts of cash for a problem that could’ve been fixed with much less—call experienced plumbing services as soon as you spot an issue. Another problem that’s often left ignored is slow draining showers. If your bathtub or shower is not draining properly, it’s an indication of a clogged drain. Not fixing this problem soon can lead to minor flooding in your home. If you’re in Palm Beach County, FL, and experiencing any plumbing issues around your home or business, contact us to get a fix. Our trained and experienced professionals will ensure quality services are provided in a timely manner. We offer same-day services if you call before noon.